On Monday January 30, 2012 a leading Russian TV channel showed an unexpectedly significant interview with Michael McFaul, the recently appointed US Ambassador to Russia. Why ‘unexpectedly’? 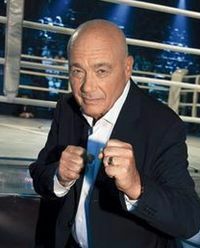 Because the host of the show was Vladimir Pozner, patriarch of the Soviet/Russian television widely known for his pro-Western, liberal and hedonistic stance. We expected a regular one-way street scoring Russian non-compliances with the ‘universal democratic values’ and discussing the perspectives of normalization of the Russian political system. What we actually watched was a brilliant example of professional journalist performance exposing hot bilateral issues in an unvarnished way. The US Ambassador eventually faded into a confused, excusing and lost position. These are not the words of a pragmatic realist, seeking to do deals with American and European leaders. These are the words of a paranoid leader, who seems to need external enemies as a means for creating domestic legitimacy. Nevertheless until recently Mr. McFaul worked for the U.S. National Security Council as Special Assistant to President Obama and Senior Director of Russian and Eurasian Affairs. He is believed to be one of the leading American experts on Russia and architect of notorious ‘Reset’ under the incumbent administration. He speaks some Russian and considers himself ‘a specialist on democracy, anti-dictatorial movements and revolutions’. Such promising presentation has fostered unprecedented hopes among particular Russian opposition circles and notable anxiety at the patriotic camp. He arrived in Moscow on Saturday, January 14, 2012. On Tuesday, January 17, the second working day in office, he invited a few leaders of the Russian ‘system’ and ‘non-system’ opposition to the Embassy in order, as it was widely perceived by the majority of the Russian civil society, ‘to give them instructions and funding’. A video footage (in Russian) on the oppositionists arriving and zombie-like departing from the US Embassy caused a dramatic scandal in the Russian media. 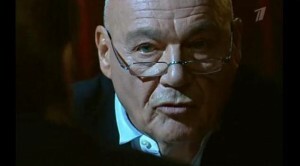 A few days later he came to Pozner studio at the 1 TV Channel. 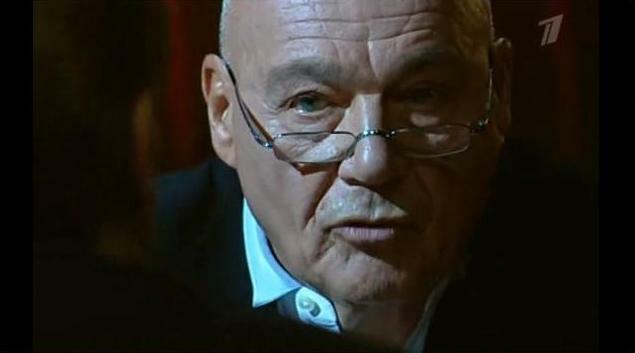 Pozner interrupts him: ‘Did you meet them or Mr. Burns’? ‘How are you going to build personal relations with the most likely future President Vladimir Putin whom you repeatedly depicted in numerous articles as an autocrat and an enemy of freedom? Say in 2000 you wrote an article where you compared Putin with Milosevic…’ (see e.g. Prepared Statement of Dr. Michael McFaul `Russia’s 2000 Presidential Elections: Implications For Russian Democracy And U.S.-Russian Relations’ presented on the hearings before the Subcommittee on European Affairs, US Senate, April 12, 2000 – OR). ‘Are you seriously stating that in the United States the Cold War mentality has been already off years ago? I’ve been to America quite recently. We were making a documentary. I met hundreds of Americans. I assure you that the Cold War has impacted them not less than the Russians. Even taking note of their reaction on the word ‘Russia’… Read American school textbooks on history. What? Ah, American students do not read textbooks? Well, listen to McCain. Listen to Gingrich. Is the Cold War over for them? ‘Are you going to finance Russian opposition the same way as you did in Ukraine during Orange revolution?’ And after the Ambassador did not find anything better than to outcry in Russian: ‘This is not truth! This is an insult!’ continued: ‘In a document of the Stanford University it was said that in 1988 you advanced so far that had assisted to the members of a group named ‘Democratic Russia’ to establish contacts with the Western agencies and foundations that gave them funding to support their activities. This is the first fact. Now, in your book ‘Revolution in Orange’ (2006) you conclude that the victory of Victor Yuschenko was secured mainly thanks to intensive work with the Ukrainian youth at the expense of American funding, totaled 18 million USD. This is the second fact. So how do you think, don’t we have some reasons to suspect that American money might be invested in a revolution here in Russia as well? ‘Once upon a time Condolisa Rice told about Georgian president Mikhail Saakashvili ‘our golden boy’. Please look at the screen. (A photo of Alexey Navalny, a prominent Russian blogger and social activist, Yale University graduate and one of the harshest critics of ‘Putin’s regime’ appears in studio.) Isn’t he your golden boy?’ and so on. Anyway, substantially there were several interesting observations. Firstly, Amb. McFaul seemed sincere in his conviction that the current US-Russian agenda is in ‘common interest’ of both states. Asked to name some concrete topics of the ‘Reset’ where we have benefited together, he mentioned the augmentation of supplies of NATO troops in Afghanistan through the Northern route via Russian territory, conclusion of the START III Treaty, joint efforts to stop Iranian nuclear program, cooperation on the issues of non-proliferation and civil nuclear energy, US assistance for Russia joining WTO, ‘unprecedented cooperation in the framework of G20’ (I didn’t quite catch how did the latter refer to the US-Russian relations), and 40% increase of bilateral trade last year. Putting aside the trade increase, which would be easily crushed once Moscow bans the US chlorine-intoxicated chicken legs again, no other topics have any tangible benefit to Russia. START III Treaty has no sense for Russia and the world if the United States succeeds in building the European anti-ballistic missile shield. Strategic parity has both offensive and defensive dimensions and once a misbalance occurs in any dimension, another should be compensated. In case the US missile vulnerability becomes negligible as a result of European ABM shield in action, the START III would undermine the Russian security and global stability and thus turn into a US unilateral advantage. Iran is obviously Israel’s problem. We have never admitted that we see any real threat from the Iranian legitimate nuclear program. Moreover, Iranian ambitions to create a nuclear weapon cannot be even persecuted legally. According to international law, only the threat to apply the existing nuclear weapon is illegal. Iran, however, not only never threatened to apply it, but even does not possess it yet. Joining WTO is a great argument taking into account the fact that the expert business community in Russia has not reached any consolidated conclusion about the expediency of the Russian accession to an organization torn by internal disputes and dubious aims, aggravated by the ongoing economic crisis. As far as public is concerned, the voice of civil society in Russia demanding to reconsider the political decision to join WTO is getting stronger every day. Secondly, he repeatedly stated that his mission is ‘to support modernization in Russia, both economical and political modernization’. That is an ordinary trick which used to contribute to the fall of the Soviet Union 20 years ago. One of the critical Gorbachev’s mistakes was his conviction that political modernization might be parallel to the economic one or even outrun it. That irresponsible experiment over the great country was a failure. No one will repeat those mistakes again. Thirdly, the overall performance of the US Ambassador left an impression of undue flippancy perhaps endemic to the American academics devoted to Russian affairs (maybe they listen to Led Zeppelin too much?). The school of Russologists in the US is obviously getting shallow and too stereotyped. The political theory over Russia in the United States is so baseless and politically motivated that any serious research demonstrating sober and unbiased approach is being ignored and marginalized. No one of them acknowledges, at least publicly, a simple thing: the Russian worldview will never coincide with the Western one. We do not share Western values which eventually are focused on the profit seeking at the expense of a partner and narrow compromise with the morality. We do not strive for the same political goals. We do not want to be inside a Golden billion. We seek a fair, respectful, diverse, multi-polar and balanced world in which human obligations to the surrounding community of his family, neighbors, fellow-citizens and nation would be much more important than phantom and egoistic individual human ‘rights’. Unless the United States suspend their ambitions for global dominance, the ghost of the Cold War would wander around the world. Among some deemed as more understanding of Russia, I’m somewhat surprised at the degree of support given to McFaul getting the ambassador slot. While I agree that it was possible to have a less appealing choice in that position, I nevertheless don’t see a great need to give a thumbs up to his appointment. Then again, consider the same circles some travel in and the kind of self restricting conditions that can result. It was brought to my attention that at least one loon thinks that McFaul is soft on Russia. I’ll leave it at that.